Wheelers of New England was founded by a small bunch of guys (and gals) that own Jeeps and used to belong to other 4×4 clubs. 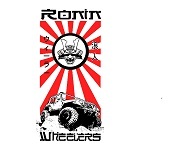 Having become increasingly discouraged with the hierarchy of the other clubs and all the politics that were transpiring within, this small but determined bunch set out on their own to develop not yet another “club” but simply an organization of fellow Jeep and 4X4 enthusiasts that share their love for free open wheeling and are dedicated to the well being of others less fortunate. We do not believe in the principle of hierarchy. We have no president. We have no vice president or any other cabinet members for that matter but what we do have is a loyal and dedicated group of individuals whose sole purpose is to belong to an organization of people who are all treated as equals, who all participate in the goings on of the organization and a group of individuals that join together in a time of crisis and help out fellow wheelers and others in times of need.